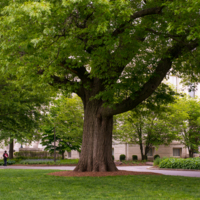 Most students and visitors will not realize that American’s University’s campus is an arboretum. 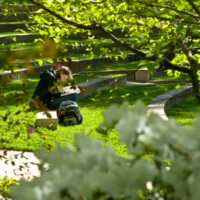 Landscape architect Frederick Law Olmsted Sr.’s firm had dreams of turning the campus into something beautiful but it took until the 1990s to start creating today’s truly stunning campus. 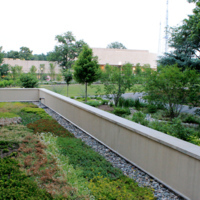 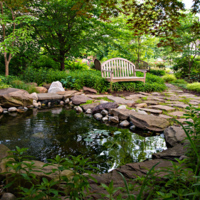 Mark Feist (assistant director of facilities management), Mike Mastrota (landscape architect), and H. Paul Davis (landscape architect), pushed the boundaries with their holistic and sustainable approaches that turned AU’s campus into a public garden and an arboretum. 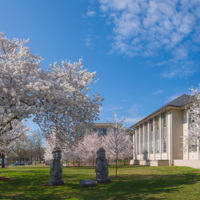 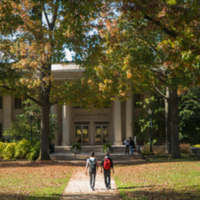 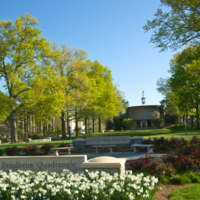 In 2003, 110 years after AU’s founding, American University formally dedicated its campus to become an arboretum named “American University Arboretum and Gardens”.